Multiverse is a free HTML5 photography website template. It comes with a handy option namely modal image view with fully functional lightbox slideshow. In addition, it contains a reusable custom panel system. 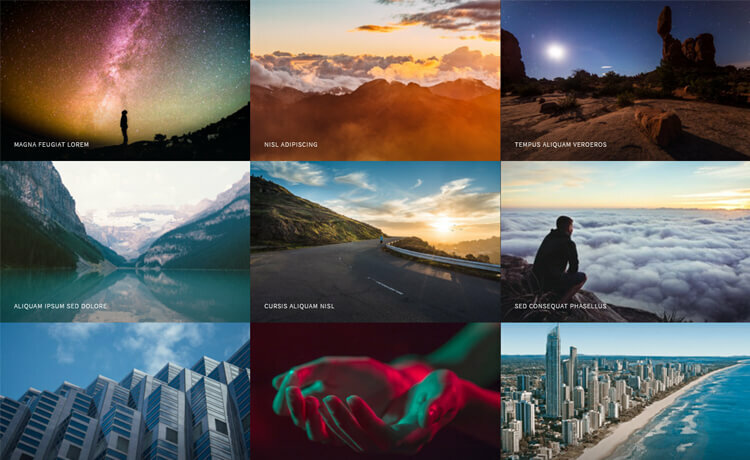 Multiverse is a free HTML5 photography website template. This slick theme is fully responsive with a clean and simple look. Multiverse is specially designed for photo galleries. Moreover, Multiverse perfectly suits the photography, photographer portfolio and other alike websites. It comes with a handy option namely modal image view with fully functional lightbox slideshow. In addition, it contains a reusable custom panel system. Multiverse has an intuitive and flexible code inside the box. Creating with Multiverse is easy and simple that’s why it is fun! Dig deep and explore more! Thank you for downloading Multiverse.